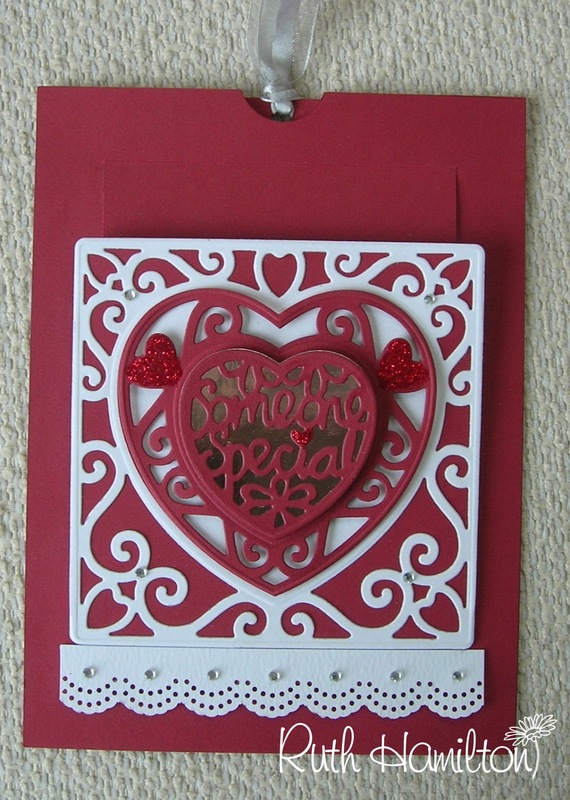 Just when I thought I had finished making Valentine cards big son asked me to make one for his girlfriend. 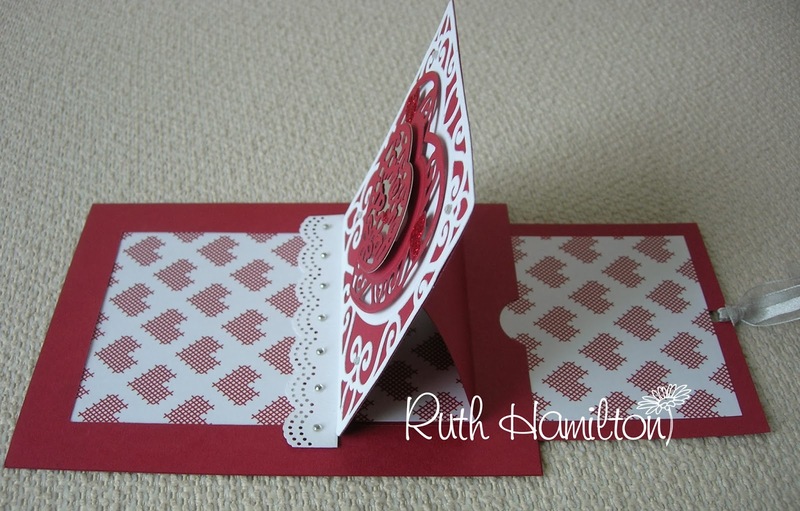 He liked the look of the slider card I made for yesterday's Papermill offer so I made a similar shape but with hearts - hope she likes it or I'll be in the bad books! 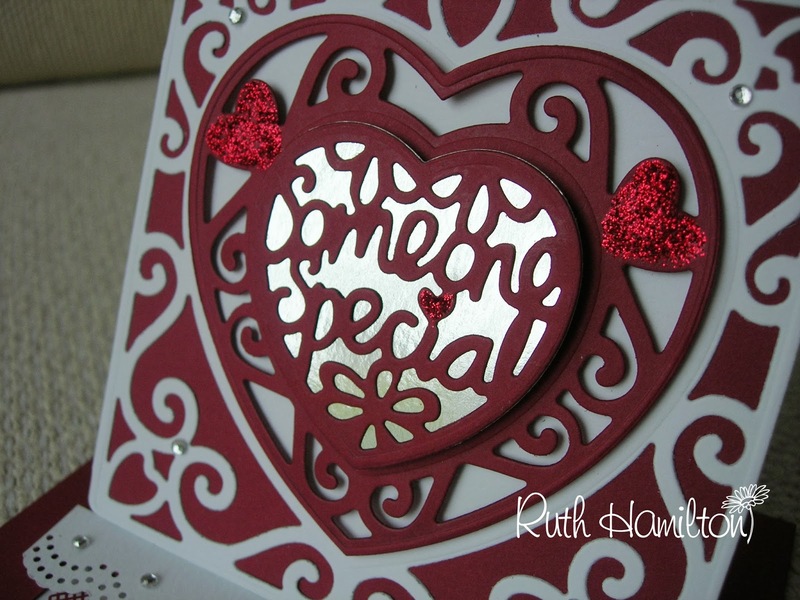 I used the Tonic Studios Affections Square Base die with the Someone Special die for the centre. I used the Dotty border punch for the strip along the bottom of the main part and attached it with DST so it moves up and down with the slider.